BioWare’s Mark Darrah has been quite active on Twitter lately, patiently fielding and answering a vast number of questions from fans regarding anything and everything to do with Anthem, from its damage numbers toggling, to its late joining rewards and E3 demo difficulty, and its AI companions. He’s now answered even more questions on Twitter to clear up confusions regarding a couple more things. For starters, Darrah confirmed to a fan that Anthem would indeed have a “hard” level cap, and that it would be one that would constantly keep changing as the service progresses. One fan asked him if there would be any penalty for a player who fails to finish Strongholds, and Darrah said that the player simply wouldn’t get the “end loot” from that section of the game. Another fan asked if there would be a New Game + in the game, and Darrah said that that is not really relevant for the style of game that this is, though players can effectively do it should they wish to do so. How that might be the case isn’t something he spoke about. Yet another fan asked Darrah about the shield that is equipped by the Colossus category of Javelins, and if all other Javelin exosuits would have shields as well. Darrah confirmed that all types of exosuits across all categories have some sort of damage mitigators, with the Colossus having a shield. In a different tweet, a fan asked Darrah if there were any lessons BioWare learned for Anthem from Mass Effect: Andromeda. Darrah said yes, though what these lessons were was something he refused to get into. 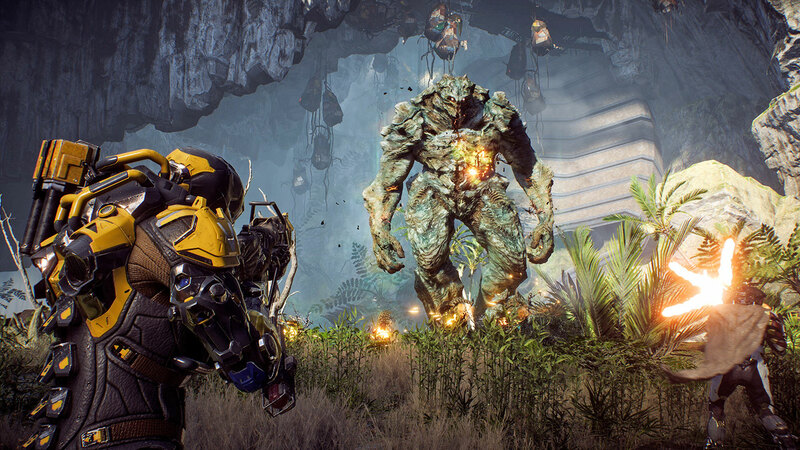 About which languages the game will be dubbed in, Darrah confirmed that Anthem would have voice-overs in English, French, German, Spanish, and Italian. Subtitles will be in English, French, Spanish, German, Italian, Polish, Russian, Brazilian Portuguese, Japanese, Traditional Chinese, Simplified Chinese, and Korean. However, Darrah also said that in spite of many requests, Arabic is not a supported language, while also making it clear that BioWare doesn’t make decisions about which languages should and should not be supported. Anthem launches on February 22, 2019 for the Xbox One, PS4, and PC. Stay tuned to GamingBolt for more coverage on the game.